The Sales Lead Management Association (SLMA) announced the winners of the 50 Most Influential People in Sales Lead Management in 2012 this week. Two executives of PointClear, the Atlanta-based prospect development company, are included: Dan McDade, PointClear president and CEO, and Karla Blalock, chief operating officer. This is certainly an honor to be recognized for leadership in sales lead management,” said McDade, who was among the SLMA’s 50 most influential in 2009, 2010 and 2011. “I appreciate the support of the entire PointClear team. The Sales Lead Management Association (SLMA) announced the winners of the 50 Most Influential People in Sales Lead Management in 2012 this week. Two executives of PointClear, the Atlanta-based prospect development company, are included: Dan McDade, PointClear president and CEO, and Karla Blalock, chief operating officer. The Top 50 was determined by the number of votes received by each nominee between Nov. 1 and Nov. 30. View 2012 Top 50 list. James W. Obermayer, CEO and executive director of the Sales Lead Management Association, announced the winners on Dec. 5. "People who win are recognized by their peers as multi-dimensional sales and marketing experts. They have given unselfishly of their time as speakers, teachers, and writers on the deep multi-dimensional topic of sales lead management,” said Obermayer. Susan Campanale, vice president of marketing for the SLMA said, "These people are recognized by their peers as power players in the pursuit of ROI for marketing lead generation." 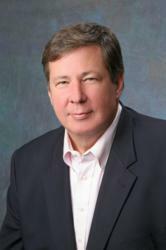 McDade founded PointClear in 1997 to provide prospect development services to business-to-business companies. He is the author of The Truth About Leads, an insightful book that helps C-level executives focus B2B lead-generation efforts, align sales and marketing organizations and drive revenue. McDade is immediate past chairman of the Technology Association of Georgia (TAG) Education Collaborative, an organization promoting STEM (science, technology, engineering and math) education in Georgia. In her role as COO at PointClear, Blalock helps B2B clients in technology, healthcare and business services industries improve margins and grow sales. She’s responsible for all client operations—from program planning to delivery, from measurement against business objectives to reporting. 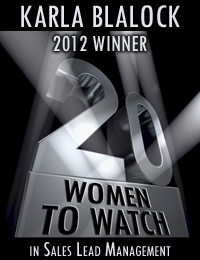 In addition to being named three times to SLMA’s 50 most influential list, in 2011 and 2012 she was named one of SLMA’s 20 Women To Watch. 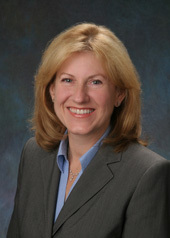 She’s a member of TAG, Women in Technology(WIT) and American Association of Inside Sales Professionals (AAISP). Voting for the 50 Most Influential People in Sales Lead Management in 2012 was open to SLMA members only. Membership is free. PointClear is the prospect development company. Founded in 1997, the Atlanta-based company helps B2B companies drive revenue. PointClear closes the gap between marketing and sales—nurturing leads, engaging contacts and developing prospects until they’re ready to close. The company stands out because of its strategic approach to planning; the quality of its people; and a multi-touch, multi-media, multi-cycle prospecting process. This unique combination provides best-in-class client companies more predictable forecasts and more sales success. 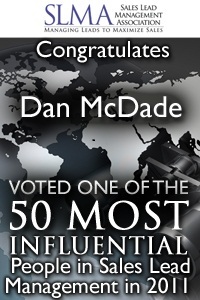 PointClear President Dan McDade is also author of The Truth About Leads. For additional information, visit PointClear’s blog ViewPoint | The Truth About Lead Generation or PointClear or call (877) 582-9909.